Here is this month's picture. We hope to update this feature with a fresh picture every month. Please email us your pictures to feature on this page. Ideally they should be of something special, a special location and your Y, an interesting close up shot of a lesser seen part of a Y that you think will be of help or interest to others, etc. Please also send a couple of lines of text to go with the picture. 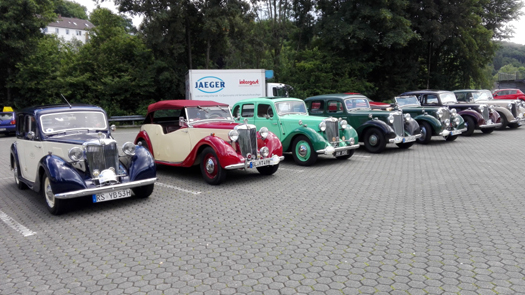 Bild von MG-Y- Treffen in Deutschland.